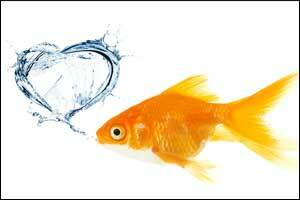 Researchers have found that Eating Fish once or twice a week benefits in aortic diseases. A new study published in the journal Clinical Nutrition links lower consumption of fish with an increased risk of mortality from aneurysm, aortic dissection, and total aortic diseases. Several studies have suggested that the intake of fish provides protection from the risk of atherosclerotic diseases; however, this association with aortic diseases has not been elucidated worldwide. Kazumasa Yamagishi, Department of Public Health Medicine, Faculty of Medicine, University of Tsukuba, Tsukuba, Japan, and colleagues hypothesized that fish intake is inversely associated with mortality from aortic diseases (aortic dissection and aneurysm). The researchers conducted the study as a pooled analysis of 8 cohort studies comprising of more than 350,000 Japanese community-based men and women (a unique population of a large amount of fish consumption) having no history of cardiovascular disease or cancer. In each cohort, Cox proportional hazards regression was used for the estimation of hazard ratios (HRs) and 95% confidence intervals (CIs) for mortality from aortic dissection, aneurysm, and total aortic disease according to the frequency of fish intake and estimated summary HRs derived from each study. Nonlinear inverse associations were found between fish intake and total aortic disease. Compared with persons who ate fish 1–2 times/week, persons who seldom ate fish had higher mortality from the total aortic disease. Higher mortality was not seen in those who ate fish 1–2 times/month. A similar pattern was observed for aortic dissection. Regarding aortic aneurysm, both persons who seldom ate fish and those who ate fish 1–2 times/month had higher mortality. A threshold was suggested between the seldom and 1–2 times/month categories of fish intake. “Our findings demonstrate that persons who seldom ate fish had higher mortality from aortic dissection, aneurysm, and total aortic diseases,” concluded the authors.